Last night during CBS' The Late Late Show with James Corden, host James Corden welcomed Deadpool star Ryan Reynolds, just days after his movie shattered box office records with a whopping $135 million opening weekend. 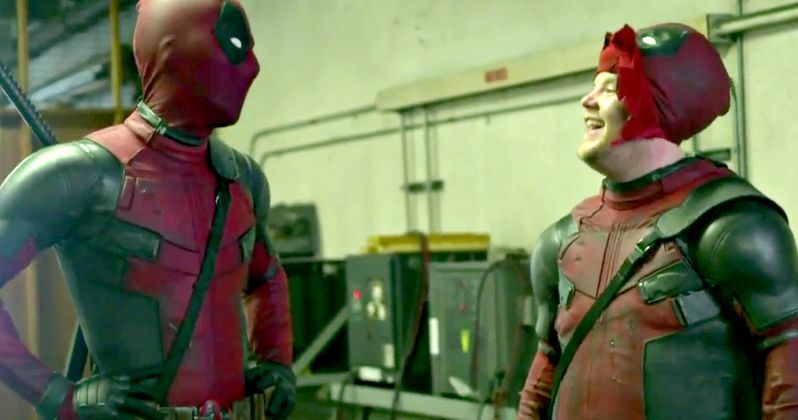 Despite the fact that the movie is already out, James Corden decided that the Merc With the Mouth needed a sidekick, with a new sketch that shows some of the host's ridiculous ideas. The five-minute video below ends with a hilarious team-up, although don't expect to see it in Deadpool 2. Regardless of whether or not the Merc With the Mouth has a sidekick or not, a sequel is coming. Way back in August, a report surfaced that 20th Century Fox was considering dropping a sequel to the much-maligned Fantastic Four in favor of Deadpool 2, but the studio didn't confirm that report. Then just a month later, producer Simon Kinberg teased that talks for the follow-up were already under way with 20th Century Fox, while hinting that Cable, the iconic leader of the X-Force comic book series, may make an appearance. This isn't terribly surprising, though, since Rob Liefeld created the comics for both Deadpool and X-Force. Last month, early box office tracking projected Deadpool to earn anywhere between $55 million and $60 million on its opening weekend, but it ended up shattering expectations and records alike. The $135 million opening weekend was the highest ever for an R-rated movie, breaking The Matrix Reloaded's mark of $91.7 million, a record that has stood for nearly 13 years. We'll have to wait and see if Deadpool will continue its impressive run and take the box office crown for a second week in a row. Do you think the Merc With the Mouth should have an actual sidekick? Some could make the argument that T.J. Miller's Weasel could be Deadpool's sidekick, but the movie is so unconventional that having a sidekick may be pointless. At any rate, while we wait for more on Deadpool 2, take a look at this hilarious five-minute sketch below to check out all of James Corden's zany sidekick costumes.